Welcome to Wessex Pictures. I hope you enjoy using our website and find it easy to view our products. The website is totally responsive so can be viewed on any mobile devices wherever you are. It is always evolving and any suggestions to improve it are always welcomed. We’re constantly introducing new items to our existing comprehensive range, re-enforcing our great reputation as the "One Stop Shop for the Professional Framer”. Our Head Office, in the New Forest, has a huge warehouse filled with everything you’ll need. Visitors are always impressed with our light, spacious and comfortable showrooms. These offer a pleasant environment for customers using our counter service, and are also where we hold our demonstration and equipment training days. In our new “Sale Section” on the website, there are always “end of line” and discontinued products at excellent prices, so do make a point of visiting often and pick up a bargain. One of the main ecological issues within the framing business is the origin of the wood we use. Midas Mouldings do their utmost to ensure the timber used is sourced from suppliers who operate in accordance with the principles of good forest management. Whether you are from our long standing, loyal customer base or are new to the "Wessex Way" we are always happy to supply moulding samples. 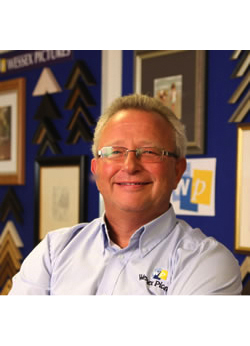 With over 35 years in the picture framing industry, Wessex Pictures continues to grow while always maintaining excellent standards, reliability and the attention to detail only a family run business can provide. Whatever your requirements we look forward to being of service soon.